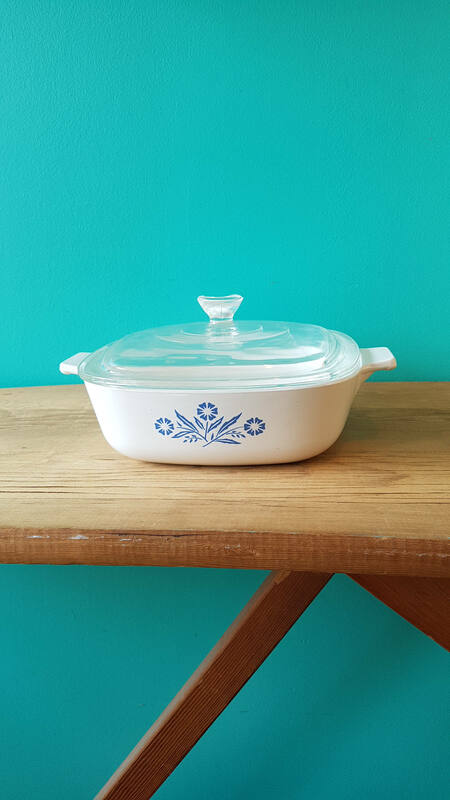 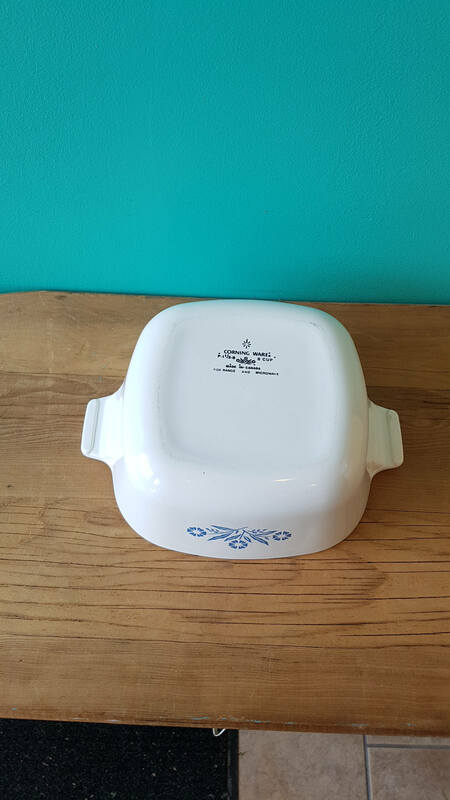 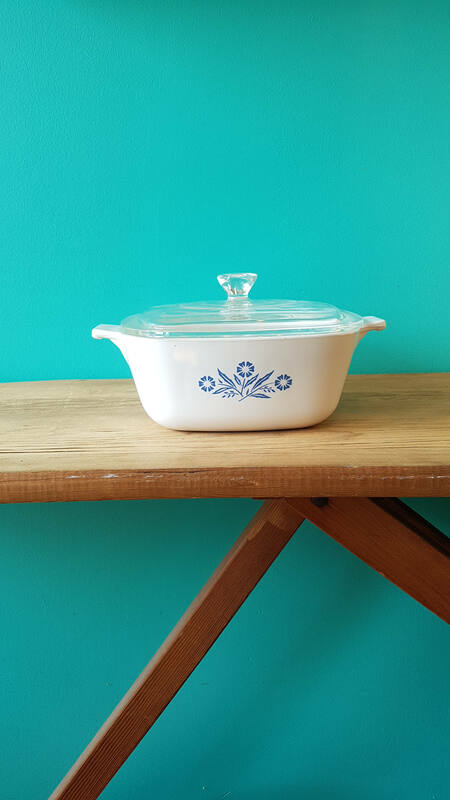 This Corningware blue cornflower casserole dish would make a great addition to your existing collection of Canadian made Corningware dishes or to use as a stand alone piece. 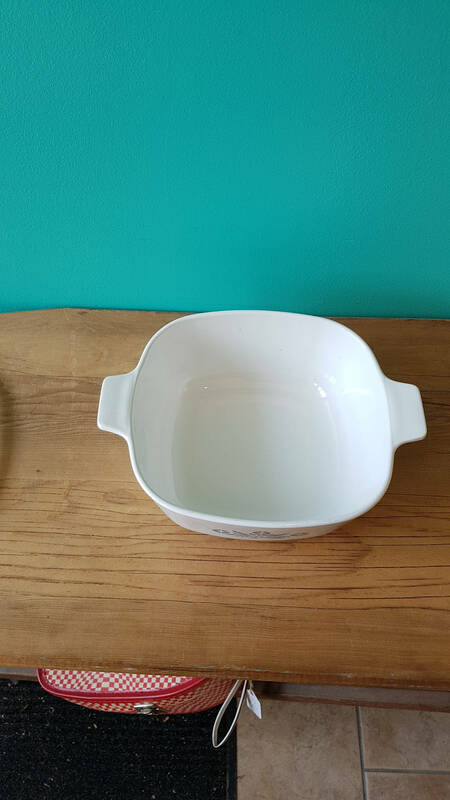 These dishes are prized for their practicality and ease of use. 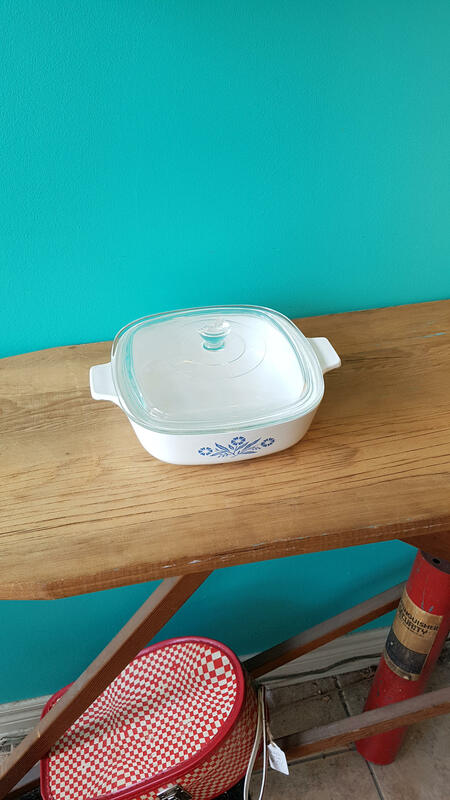 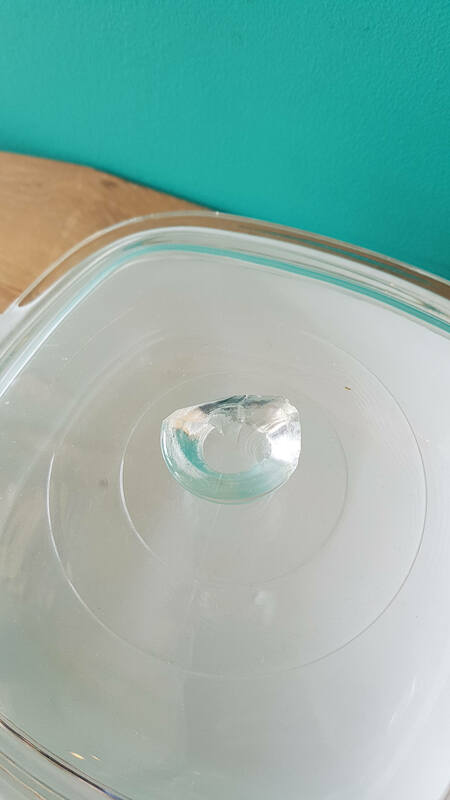 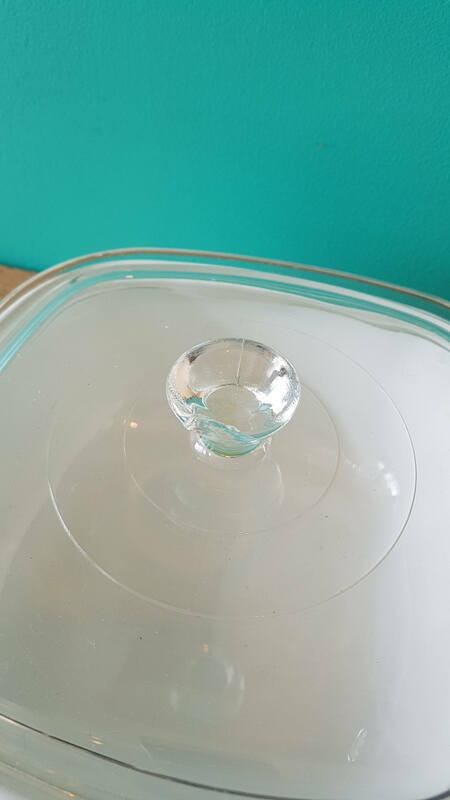 This four cup casserole dish is in good condition with no scratches, chips, or stains in the pot, but the lid has a chip in the handle as pictured.